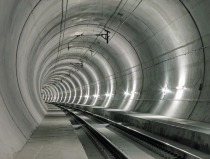 The BLS AG invited tenders for planning the further development of the Lötschberg Base Tunnel on August 17, 2015. The planning work is due to start in 2016. It will embrace the double-track development from Ferden-Mitholz and the complete development of Ferden-Frutigen as an option. 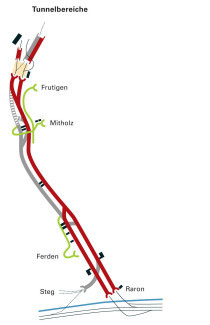 Within the scope of the FABI (= financing and development of the rail infrastructure) submission the Swiss Federal Assembly has already provided funding.